I am personally happy to see the end of 2013. It was a very weird year because I felt that I made no progress in my professional life or personal life. I attribute that to the fact that I went in with one and one goal only and that was to travel as much as I could. I guess I achieved that to some extent but otherwise life seemed stationary. Although I did start I new job (only temp though!) and quit a job I was miserable in. So there is that. Below are the highlights of the year. This lady finally came for a visit and it took me 4 hours to drive to our apartment in London ( its suppose to take 1.5 hour max) and it snowed in April. We ate our way through the city to compensate. Took a very spontaneous and expensive trip to NYC with my best friends from university. Its always special when I visit NYC but having these two there made it even better. Highlights: people watching at the ACE hotel lobby and going to brunch in a Brooklyn apartment with panoramic views of Manhattan. Got a new camera from my family as a birthday present, which is a total game changer. I think its my best friend now. The sun showed up and thus began my summer love affair with strawberries. Celebrated Midsommar in Stockholm and the surrounding countryside. I think I could move to Sweden in a heart beat. I love everything about that country ( minus the long, cold and dark winters). Made many homemade meals through out the summer and beyond. This homemade stone baked pizza was divine. Quit my horrible job and made this journey one last time. So grateful for my new job. Took a short trip to Manchester and felt pleasantly surprised by what the city had to offer from great food to great independent films ( Frances Ha was great). Also the journey up to Manchester offered some scenic views of the countryside. Summer sunsets are the best. Had some amazing brunch in Notting Hill with Zay. One of the best day of the summer. September trip to Morocco with my sister despite the fact we both had injured feet. Fell in love with the people. They were so kind and humbling. Slept in a tent in the Sahara dessert. Started a new tradition with Zay. People Watching at Mulberry show LFW followed by brunch. Hope to continues this in 2014. Embraced the mild autumn and loved the colours. 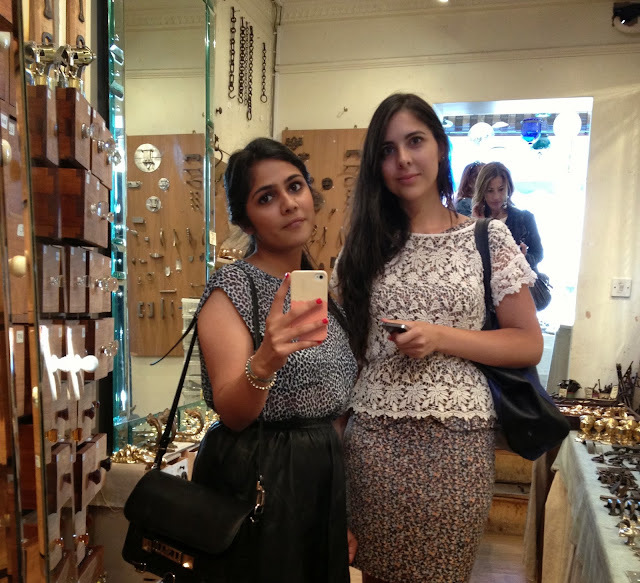 Nabilah came to visit London town and we had some crazy adventures. Finally visited Pakistan after eight years and had the best week of the year there. It was emotional in the best way possible and also 28 degrees sunshine in November equals happiness. Had a crazy crazy week in November which included a trip to A&E and my car getting towed amongst other things. But I survived, which makes me believe I can do anything. God treated us to some beautiful sunsets which made the dark winter nights a bit more bearable ( I feel that I am being dramatic because the worst of winter is yet to come). Christmas season creeped up too quickly and parties were in and diets were out. Despite this I upped my gym game as the year was coming to a close. Celebrated my brother's bday on boxing day with a meaty meal. Had my first cheese burger ever (not a red meat fan) and actually enjoyed it. After contemplating taking a trip on New years for week, finally booked a last minute trip to Paris and treated myself to this view while listening to Sinatra's 'Best is yet to come' at midnight on NYE. Best decision I made in 2013. Dear 2013, you were kind to me in many ways but I am glad we partied ways. Thanks for the memories.